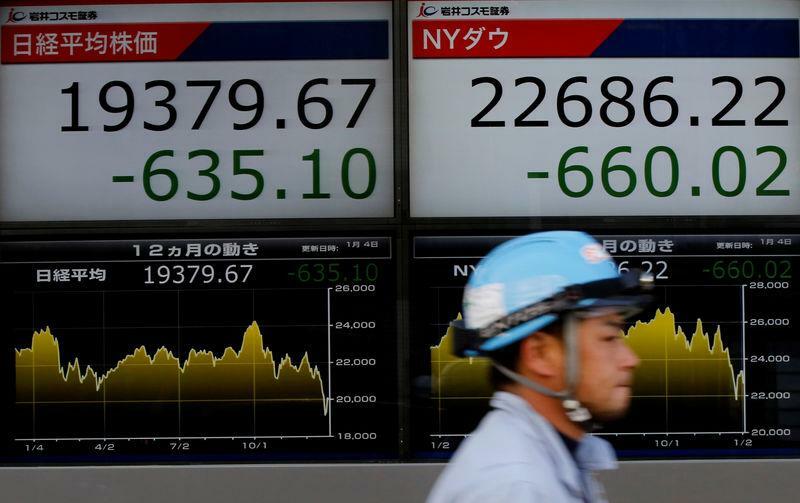 NEW YORK (Reuters) - Stocks pulled back sharply around the world on Thursday on fears of a global growth slowdown spreading to Europe and worry about the chances for a resolution of U.S.-China trade tensions anytime soon, while the U.S. dollar strengthened for a sixth session against a basket of currencies. MSCI's gauge of stocks across the globe shed 0.98 percent as it receded from two-month highs reached earlier in the week. The pan-European STOXX 600 index lost 1.49 percent after disappointing corporate updates from Publicis and other companies, while Wall Street's S&P 500 benchmark index dropped 0.9 percent. The European Commission sharply cut its forecasts for euro zone economic growth this year and next on expectations the bloc's largest countries will be held back by global trade tensions and domestic challenges. 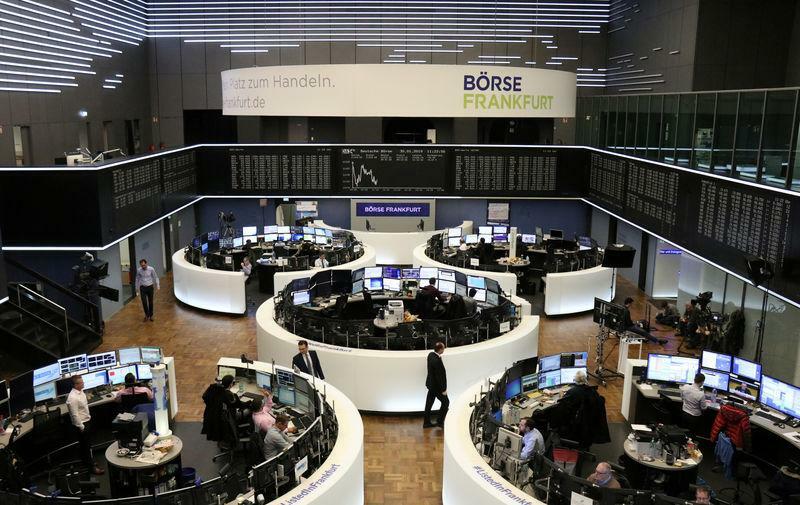 Germany's DAX stock index tumbled 2.7 percent as industrial output in Europe's biggest economy unexpectedly fell in December for the fourth consecutive month. 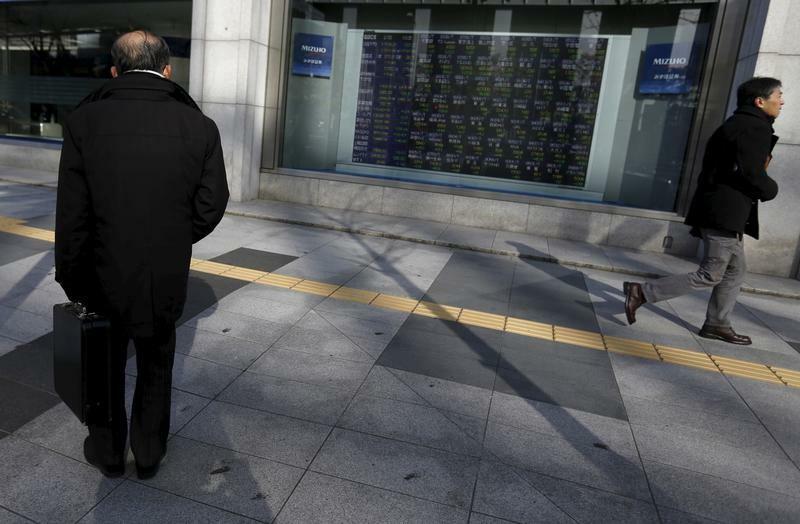 Safe-haven assets gained, including Japan's yen and gold. "Even though we are in the midst of earnings season, the macro environment is really impacting global risk sentiment," said Katie Nixon, chief investment officer at Northern Trust Wealth Management in Chicago. "Fears of a more dramatic slowdown in Europe are being joined with the fears around a slowdown in China. And the broad slowdown in global trade is having a direct impact on some of these economies and some of the results." Heightened concerns about U.S.-China trade relations also rattled investors after President Donald Trump said he did not plan to meet with Chinese President Xi Jinping before a March 1 deadline to achieve a trade deal. "Any concern that the stalemate won't be overcome by China and the U.S. is going to create negative sentiment for the markets just because trade is the single largest overhang," said Mike Loewengart, vice-president of investment strategy at E*Trade Financial in New York. On Wall Street, the Dow Jones Industrial Average fell 220.77 points, or 0.87 percent, to 25,169.53, the S&P 500 lost 25.56 points, or 0.94 percent, to 2,706.05 and the Nasdaq Composite dropped 86.93 points, or 1.18 percent, to 7,288.35. U.S. regional lender BB&T Corp will buy rival SunTrust Banks Inc for about $28 billion in stock, the biggest bank deal in about a decade. Shares of both banks rose. The downgrade in European growth expectations filtered into currency markets, with the euro down 0.14 percent to $1.1344. The dollar index, which weighs the greenback against a basket of six currencies, rose 0.15 percent, firming for a sixth session in a row. U.S. Treasury yields fell for a third straight session. Benchmark U.S. 10-year notes last rose 13/32 in price to yield 2.659 percent, from 2.704 percent late on Wednesday. Oil fell as the market confronted concerns that global demand growth would lag in the coming year. U.S. crude settled down 2.5 percent to $52.64 a barrel, while Brent settled at $61.63 a barrel, down 1.7 percent.